Margaret Mitchell and Vivien Leigh were both born in November. Mitchell was born Nov. 8, 1900 and Leigh on Nov. 5th, thirteen years later. Their names and birthday week will be forever entwined by Gone With the Wind fans. Mitchell may not have thought herself beautiful in the classic sense, just as, in the novel, she wrote that Scarlett O’Hara was not; but both women shared delicate features, those tiny waists, easy laughter, and an Irish heritage. Actually Mitchell had a loveliness to her in her youth with her silky smooth complexion and bright smile. When GWTW producer David O. Selznick was looking for the perfect actress to play Scarlett he was trying to find someone with the characteristics of the young lady from Clayton County. But as it turned out the actress he settled on seemed to have a lot in common with the author. Vivien Leigh was the British actress who became known for portraying the strong-willed, free spirited Scarlett. In real life, Leigh battled with manic depression and bipolar disease, and this became more apparent shortly after she attended the world premiere of the movie in Atlanta. Interestingly, while Margaret Mitchell wrote about a strong-willed heroine, both Mitchell and the woman who played Scarlett were plagued by depression, physical illness and injury. Mitchell and Leigh shared another similarities. Both were raised as Catholics and later told people they shunned their childhood religion. In another odd coincidence, Vivien Leigh also shared some commonalities with her character as she and Scarlett O’Hara both suffered miscarriages after falling, and both seemingly demonstrated little interest in children, leaving their children in the care of others for long periods of time. While there can be comparisons made with author Margaret Mitchell, character Scarlett O’Hara and actress Vivien Leigh; there was another famous person who had much in common with Margaret Mitchell: Amelia Earhart. Two amazing women trailblazers’ paths crossed in many ways and their stories are similar. Both were thin, almost boyish at times and seemed to be controlled or pushed on by men they had married, with whom their sexual attractions reportedly appeared to have been ambiguous. Both of these women turned out to be powerful role models for their gender and accomplished something that would be remembered far beyond their young deaths—both before age fifty. Amelia Earhart, the famous aviator was born in 1897, just three years before Margaret Mitchell. Both were born in their grandparent’s homes, and raised with one sibling. To Margaret’s pony riding and daring horseback riding accidents, Amelia Earhart rode her sled off the sloping roof of the barn. They both wore pants and dressed like a boy in a time when it was frowned upon. The writing bug had bitten Margaret Mitchell at a young age and she wrote stories and made up plays which were performed for the neighbor kids. Earhart knew she wanted to fly after that first time she slid off the roof in that sled. “It’s just like flying!” she said. Both women had fathers who were lawyers, were raised with servants and spent much time with their grandmothers and relatives. They both loved to read and had read the classics at a young age. As a teenager, Amelia Earhart trained to be a nurse with the Red Cross, and Mitchell worked with the war efforts and the Red Cross. Earhart, who was living in Massachusetts at the time, enrolled in Smith College, the same school Mitchell attended for one year, but at the last minute she changed her mind and went to Columbia University to take courses in medicine. Mitchell said in print that she had originally wanted to be a doctor. Just like Mitchell, Earhart only stayed in college for one year and then returned home due to a family situation. Earhart took her first plane ride in Dec. 1920. During that year Peggy Mitchell was living the life of a carefree flapper, yet she was pursuing her future career as a writer by writing plays for her friends to perform in the living room of the Mitchell family home on Peachtree. On Sept. 2, 1922, Margaret Mitchell began her adult life by marrying Berrien Upshaw. A month later Amelia Earhart bought her first plane. Both women seemed to live tormented lives, each striving to live on their own terms, with the outside world interfering. In the end, they succeeded in doing what they wanted to do even though at times they were bucking the trends of the time. Although reaching the pinnacle of their careers, neither woman seemed to achieve happiness. Even their love lives were similar. Amelia Earhart was engaged to marry one man yet later married another. Out of convenience, it seemed, she married G.P. Putnam, the man who had been her best friend and stood by her. Putnam, a publisher, encouraged her flying career. Through any controversy that arose, he was by her side all the way. To the outside world Earhart presented a strong-willed woman persona, but it was in private to G.P that she could confide her weaknesses. Margaret Mitchell, who had been engaged to a man who was killed in World War I, then divorced her first husband and ended up marrying her trusted friend, John Marsh, who also shared in her career. It was Marsh who encouraged Mitchell to write the book, and during all of the turmoil she went through after the book became so famous, Marsh supported her unfailingly. Though Margaret Mitchell was the famous author who was sought after for the limelight, Marsh loved her as his Peggy and would do anything for her. Both women kept their maiden names publicly, even though it was not the custom at the time, and they had no children. A fire in the family home destroyed many of Amelia Earharts’ papers and mementos, and after her death, many of Margaret Mitchell’s personal things were also destroyed in a fire. Earhart was the first woman to fly solo across the Atlantic Ocean and she won the Distinguished Flying Cross, the first woman to do soTo Earhart’s Distinguished Flying Cross, Mitchell won the coveted Pulitzer Prize. In 1935, Harold Latham of Macmillan first laid eyes on Margaret Mitchell’s manuscript for Gone With The Wind and that same year Amelia Earhart became the first person to make a solo flight from Honolulu, Hawaii, to Oakland, California. 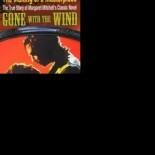 A year later, June 30, 1936, Margaret Mitchell’s book Gone With The Wind was published. 1937 was a major year in the lives of these two incredible women. Margaret Mitchell was on top of the world as the sales of her book were skyrocketing and she won the Pulitzer, as well as an award from the American Bookseller’s Association. Similarly, Amelia Earhart’s fame was at its height as she set out to make a historic flight around the world—a flight from which she would never return. Though she was one of the world’s most famous women at the time, her death was sensational and tragic. Margaret Mitchell had also become one of the world’s most recognized women and the tragic circumstances surrounding her death, after being hit by a drunk driver, made headlines around the world. Just as Amelia Earhart’s plane disappeared, and as the world waited for details every day to see if she would be rescued, Margaret Mitchell lingered on in the hospital for five days after being hit by the car. Each day the Atlanta newspapers and national news radio broadcasts reported updates of her condition until the author died at the young age of forty-eight. These two women became role models for so many young girls who could look to them and say, ‘If she could do that, maybe I can achieve my goals’. Their life stories were both about survival but in the end, they were not able to do that; and they died way too young. Both women had led vibrant lives yet came to such violent crashes at the end; one by a drunk driver, and one presumably in a plane crash. Margaret Mitchell was on her way to the theater, Amelia Earhart was on her way to setting yet another record. One moment they were smiling, and the next, their lives were cut short. Amelia Earhart’s life story provides ‘wings’ of hope to those wondering if they should take a chance. Ever since she was a child, she wanted to fly and she did what she had to do to get sponsors for her flights, never giving up when the task seemed impossible. Margaret Mitchell’s life, her ancestors’ lives, and the great work it all provided gave us one of the most motivational themes ever. If a person is ever feeling down or defeated, they need only look at her life and the masterpiece she wove together, Gone With The Wind. Our lives are like a book, being written, with notes and changes made along the way to becoming a masterpiece. The great thing about life is that nothing is ever definite; there is always the possibility of a sequel and updated editions. 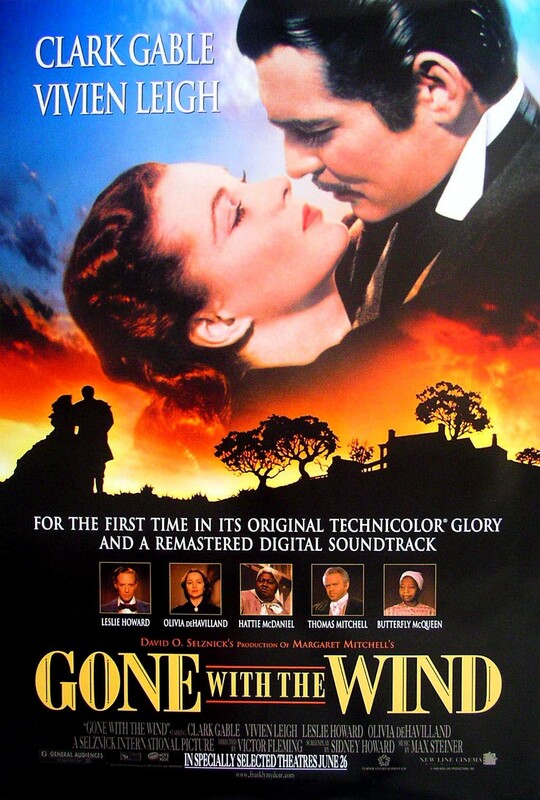 Margaret Mitchell’s theme for Gone With The Wind was survival. Scarlett O’Hara achieved her goals though less than honorable means, but the message of ‘survival’ and never giving up is worthwhile for everyone. Those who lived through the Civil War had to find ways to survive, just as those [i]facing any war throughout history. Margaret Mitchell’s relatives displayed great courage just as did every other U.S. citizen at the time, whether on the North side or the South. Margaret Mitchell said she wrote about people who had gumption and about those who did not. She had gumption throughout her young life, but it seemed that once her book became famous she was overwhelmed. Perhaps the way she survived each day was to take her own advice. Throughout the book, when presented with a major challenge, Scarlett stepped back. ‘I’ll think about it tomorrow. If I think of it now, I’ll go crazy’, she would say to herself and put the bad things in a box for later, gathering up her strength to do the things she had to do at that moment. Happy Birthday to two November birthday ladies who have provided a lifetime of memories to their fans. Sally Tippett Rains is the author of The Making of A Masterpiece; the True Story of Margaret Mitchell and Gone With the Wind. For more information on the book check out: http://www.GWTWBook.com. Rains is currently the Content and Marketing Manager for STLSportsPage.com. “The Making of a Masterpiece, The True Story of Margaret Mitchell and Gone With the Wind” was honored at the 2015 Missouri Cherry Blossom Festival. Oh, Sally, what an interesting life thread you’ve discovered. I had no idea these three women shared so many “little things” in their lives. Thank you for sharing your research and insight. I don’t know if Joe told you or not, but I am attending a local college. I had taken previously university courses for audio and gotten a job in recording studios just after Moses crossed the Red Sea, but I never attended full time. I wanted a job at Disney that required a BA in English, so I enrolled in school around the corner and started taking classes in Radio-TV, film editing, multimedia reporting, and English. I love them all. This semester, I twisted the heads of the college staff by obtaining three independent study contracts in one year (you are only allowed three for the entire time you’re there) and no one has ever taken them consecutively. I wrote proposals for each class, and the deans accepted my proposals. Thanks to Joe, I found out about this trick. I have already met and exceeded the contact requirements, which has really knocked out the deans. I am motivated to write! NOTICE: THIS COMMUNICATION IS BEING MONITORED – Yahoo TOS 2012 This e-mail is NO LONGER the exclusive property of SAMII TAYLOR YAKOVETIC. Contents of this message and any attachments are NOT CONFIDENTIAL, but may be protected by copyright law and/or other applicable privileges. If you are not the intended recipient of this message, please forward a copy to maidofmedia@yahoo.com, and delete the message and attachments from your computer. Please consider the environment before printing this email. This entry was posted on November 5, 2015 by gwtwbook in Uncategorized.